How Long Will a Colorado DUI Stay on My Record? > Blogs > DUI > DUI Defense > How Long Will a Colorado DUI Stay on My Record? It depends on the outcome of the case and whether you take action to remove the DUI case from your record, if you qualify. Below is a more in-depth explanation of this answer. 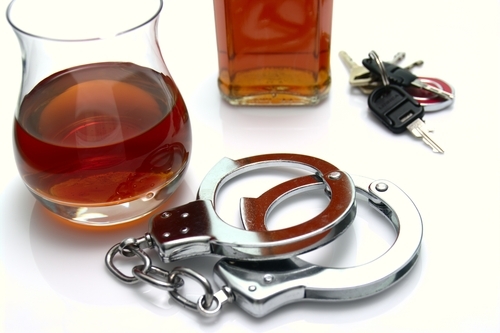 DUI charges, even if these charges are dropped or dismissed later. So, the bottom line here is that, even if a DUI arrest doesn’t result in criminal charges – and even if DUI charges don’t result in a trial or conviction, a DUI record will exist for an individual who has been detained for alleged drunk driving in Colorado. Once a DUI is on a person’s criminal record in Colorado, (s)he will have to pursue an expungement (if (s)he qualifies) to have the DUI removed from the record. If an expungement is not pursued, the DUI can remain on the criminal record indefinitely. A DUI arrest occurred, but no DUI charges were ever filed. DUI charges were filed, but they were later dismissed or dropped. A DUI case ended in an acquittal. No one was hurt and no property damage resulted from the alleged incident. At least 10 years have passed since the DUI incident, and the individual in question has not incurred any new criminal charges or cases. For those who qualify for expungement and choose to pursue it for a DUI record, they can effectively wipe their record clean so that any future background checks – including those conducted by prospective employers – will not reflect any indication of the past DUI case. Avoiding the future need for expungement. So, if you or a loved one has been arrested for and/or charged with a drunk driving offense in Colorado, contact the Griffin Law Firm to find out more about your best defense options. For the strongest possible defense against DUI charges in Colorado, contact an experienced Denver DUI lawyer at Griffin Law Firm by calling (303) 280-1070 or by emailing us using the contact form at the top of this page. With nearly two decades of experience in the criminal justice system, our attorney understands the complexities of the system, the challenges different defendants can face and the best ways of overcoming these challenges to bring criminal cases to successful resolutions.